Repair and restoration works are still underway. 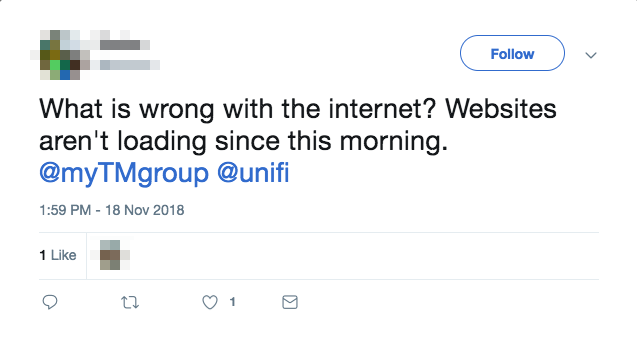 A quick search on Twitter for the term "unifi" brings up a host of complaints that were made during the period from Saturday night 'til now, 19 November. "What is wrong with the internet? Websites aren't loading since this morning. 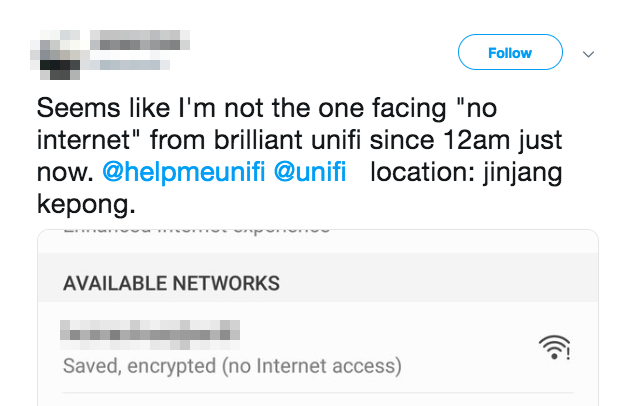 @myTMgroup @unifi"
"Seems like I'm not the one facing 'no internet' from brilliant unifi [sic] since 12am just now." "hello unifi, r u alright? 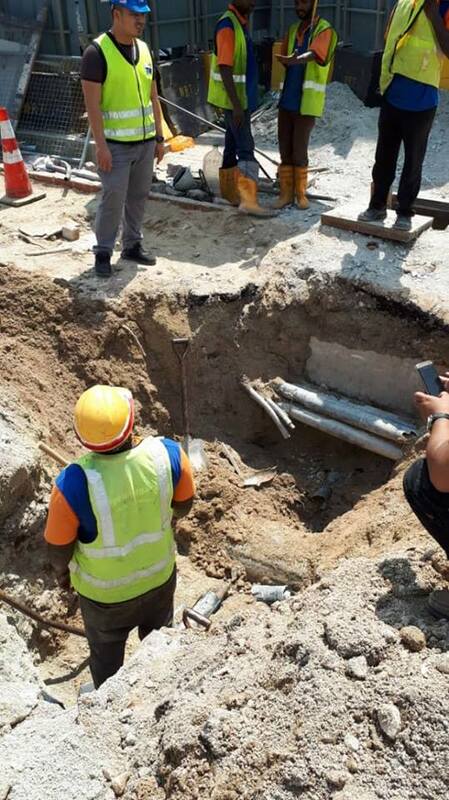 [sic]"
Unifi eventually released an alert late Sunday night, 18 November that the "service degradation" was due to "cable cuts in Sentul and Sabak Bernam by third party contractors"
A photo from "ground-zero of the cable cut incident". The first alert was posted at 11.32pm on 18 November. Unifi clarified that restoration works were underway. In the follow-up alert that was posted earlier this morning at 9.07am, Unifi added that the cable cuts were due to "MRT and WCE construction works" in the named areas. "Our network has been restored progressively in most areas and we expect full restoration to be done by 10am today. We will keep you posted on updates." The service disruption affected Unifi, Streamyx, and Unifi Mobile users, as well as wholesale services in Central, Northern, Eastern regions, Sabah, and Sarawak since 11pm, 17 November 2018. "Our technical team started work on the affected cables as soon as the fault report was lodged," the statement read. "We would like to update that while the fibre cable cuts repair and replacement works are still underway, we have optimised the network by rerouting traffic and fully restored the services affected at 10am today so that the internet experience is back to normal," the statement said. Meanwhile, we have highlighted this issue to the local authority council to prevent this from recurring and we are taking necessary actions against the contractors. "We apologise for any inconvenience caused by this and would like to thank everyone for your patience and understanding during the affected period. Rest assured that the services will be back to normal upon completion of the restoration activities." The DPP said that Najib was "being stubborn". They called on the state government to approve their demands. The grandpa, a former boxer, successfully saved his granddaughter.